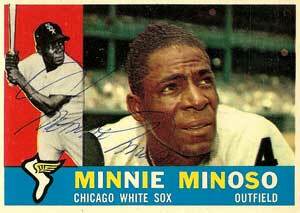 Minnie Minoso: Hall of Famer? He broke the color barrier in Chicago baseball and was the first black-Latino in the Major Leagues. Now White Sox star Minnie Minoso is up for the baseball Hall of Fame. We examine his credentials on Chicago Tonight at 7:00 pm.